Now available here as an e-book. Percutio is an independent NZ-European literary journal paying special attention to the creative process and issues relating to translation. Published in hard copy in New Zealand and France and dedicated primarily to reflections upon creativity in relation to work that bridges cultures, Percutio may feature poetry, essays, extracts from novels, approaches to choreography or composition and journal entries. Work may be in English and the language of creation. The deadline each year is April 10th. For the contents lists and editorials of past issues, click here. 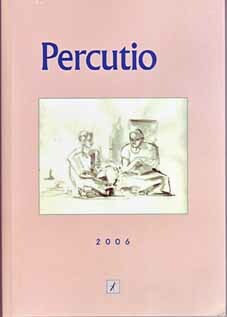 percutio [L], I strike, is the root of the English and French nouns "percussion" and of the German "Perkussion". This issue can be viewed (without images) free of charge here. Clicking the button will direct you to the Paypal website, where you will be invited to pay with a credit/debit card or Paypal account. 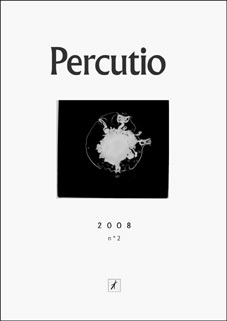 Percutio 2007 (First official number). "Crucial moments in the creation of a work." 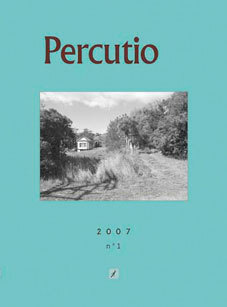 Percutio 2008. No.2. "Guiding Lights – artist motivation." This issue will become available as an e-book next year. Unfortunately, it is sold out in hard copy. For other hard copy titles from Titus Books, click here and select "Orders" at the top of the page. Crywolf Books accepts no responsibility for the above transactions, which are solely with the publisher of the magazine.